I understand pressure is being exerted on Auckland Transport to build a railway station at Parnell in the near future. 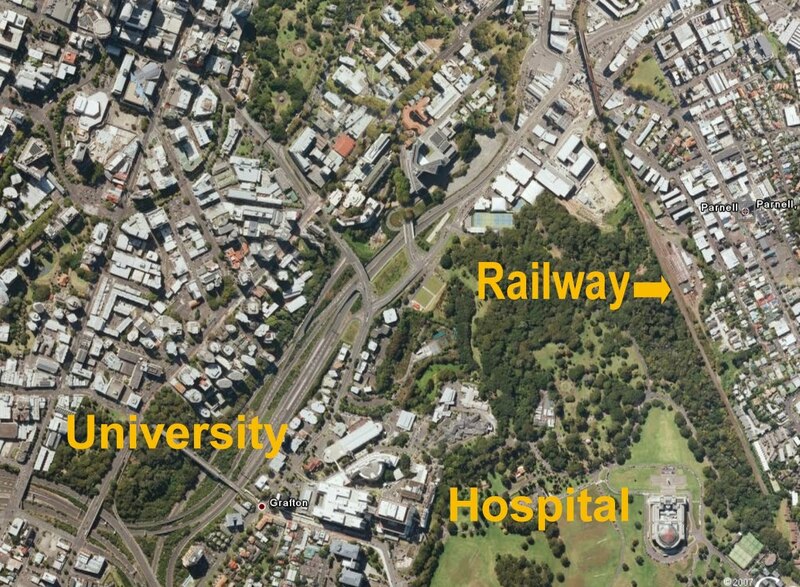 I am not sure of the proposed location along that 1 km long section of straight railway (shown in the aerial here) which runs up a steady incline. However I am advised that building a station will require substantial civil works along the whole line to provide a flat section of line for the station itself. And while there is a small walkup catchment for a station at Parnell, I consider that this station is not a priority for Auckland now, and building it now may preclude options which will become evident when longer term planning for Auckland's commuter rail networks is undertaken and agreed. 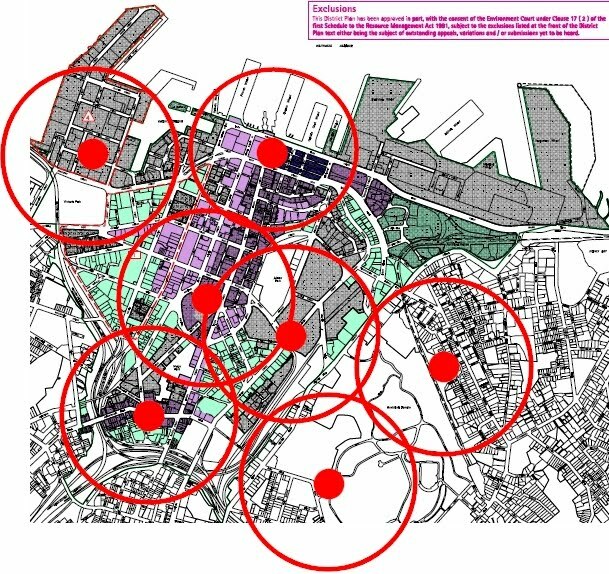 For example, this schematic shows the pedestrian walkup zones around several key CBD destinations - including the learning quarter (Auckland University and AUT), and the Hospital. 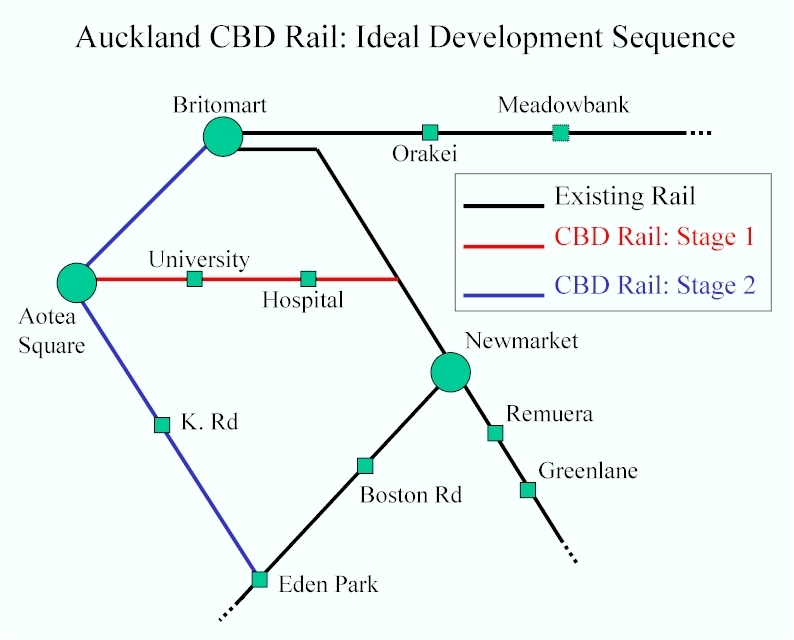 Present plans for the CBD Rail Loop project (from Britomart, Aotea Square, K Road, Newton, Mt Eden), cannot serve all key Auckland destinations. Choices have been made. However other decisions will also need to be made. 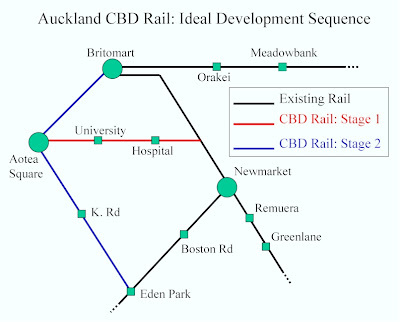 For example, the CBD Rail Loop is likely to be the first stage of the development of Auckland's CBD rail network. 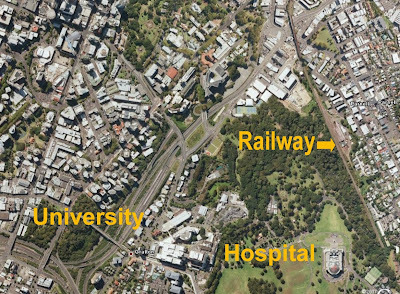 The proposed North Shore Rail line needs to be brought into the CBD and properly interconnected with the rest of the network. There has been a lot of talk about these rail projects, but detailed thinking and network planning has not been evident. This is not the time to be rushing ahead with a railway station project at Parnell. 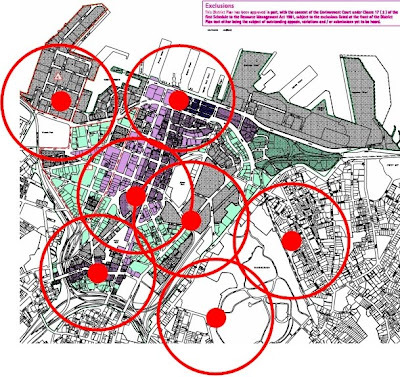 Auckland has much bigger fish to fry, and critical transport and land use planning processes must be allowed to unfold - in coordination with the Spatial Plan. This schematic which I produced a couple of years ago shows one scenario for longer term CBD Rail network planning. The line from North Shore would connect at the Aotea Station which would be an interchange between two lines. We need to move beyond producing spur lines, and instead produce loops and end-to-end lines (that's why the Northern Busway needs to run through the Auckland CBD and serve Southern destinations). The more passenger transport vehicles that DON'T terminate in the CBD, the better. These are rough ideas only, but they are rough ideas which aim to join up the thinking between the various projects that are being discussed. Auckland needs more of this type of Rapid Transit network planning. It needs to be focussed on delivery and staged implementation. It must not be de-railed by ad hoc decisions.